Malvern Physiotherapy Clinic now offers physiotherapist-led Clinical Pilates in our purpose-built studio, Malvern Pilates Studio to local Malvern, Glen Iris and Malvern East residents.. Our light-filled space is fitted out with the latest pilates equipment including reformers, trapeze table and pilates chair. 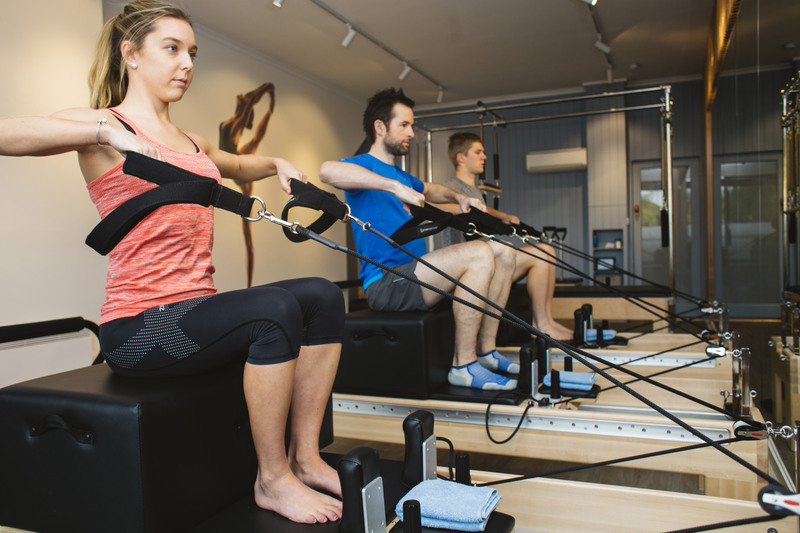 The expansion in 2017 has allowed us to provide more Clinical Pilates classes and services and we continue to provide a high-level of care for our clients. With expert anatomical knowledge, we choose exercises that meet your everyday, sporting, injury-prevention or well-being goals. You can choose from individual 1:1 sessions, small group 1:3 classes, pregnancy and post-natal specific 1:3 classes and fitness 1:6 classes.